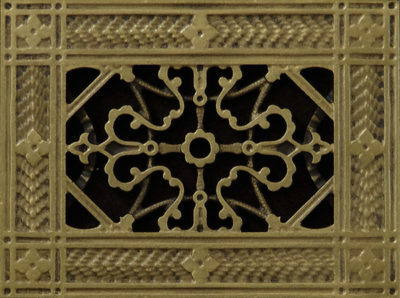 Oil Lamp Center Ornamentation 11-3/4" x 6" . Comes in 15 finishes. Attaches with adhesive. 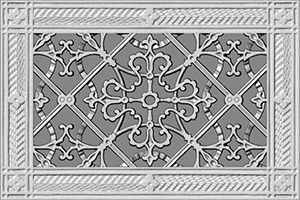 Door Header Finished Plaster Ornamentation 54-3/4" x 12" x 1-7/8"R. Comes in 15 finishes. Attaches with adhesive. 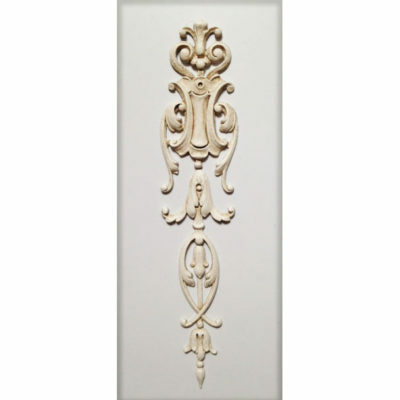 Door Header Finished Plaster Ornamentation 38-3/4" x 8-1/2" x 1-3/8"R. Comes in 15 finishes. Attaches with adhesive. This plaster Shell Ceiling Centerpiece measures 87" x 35" x 1-1/2" Projection. E-mail us with any questions or concerns. Large Rose Frame Ornamentation 11-3/4" x 21-1/2". Comes in 15 finishes. Attaches with adhesive. 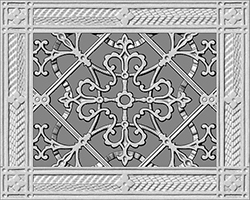 Rose Frame Ornamentation 11-3/4" x 10-1/2". Comes in 15 finishes. Attaches with adhesive. 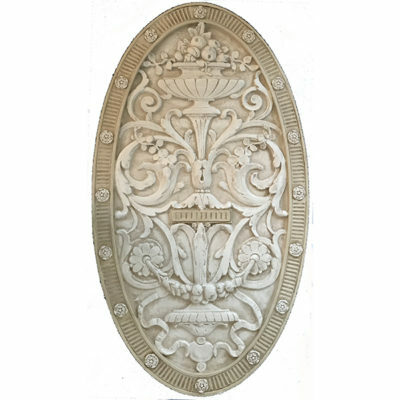 Wall Decor Arabesque Oval Wall Panel, 28-1/2"W x 52"H x 1-1/2" Projection. Attaches with adhesive and two screws. Lion Ornamentation 12-1/2" x 5-1/2". Comes in 15 finishes. Attaches with adhesive. 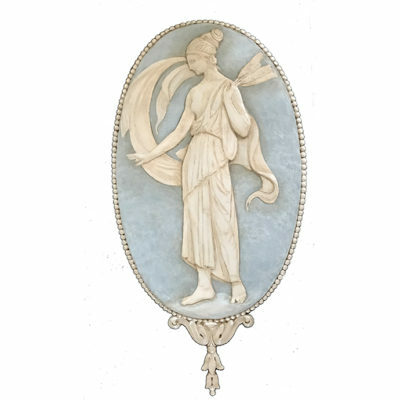 Victoria Center Headpiece Ornamentation 9"W x 4-7/8" x 3/4" Relief. Comes in 15 finishes. Attaches with adhesive. 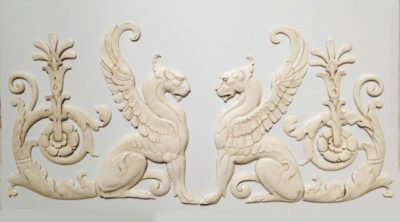 Pair of Griffins Wall Ornamentation 24" x 13" x 1/4" . Comes in 15 finishes. Attaches with adhesive. Flower Urn Ornament 22-3/4" x 11-1/4" x 3/4" . Comes in 15 finishes. Attaches with adhesive. 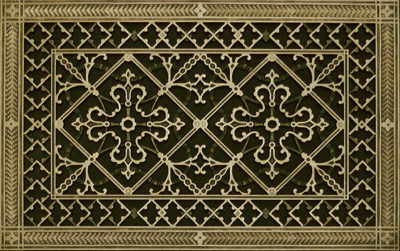 Vertical Drop Ornament 2-1/8" x 10" . Comes in 15 finishes. Attaches with adhesive. Ribbon Vertical Drop Ornament 22-3/8" x 5-3/4" x 1/2" . Comes in 15 finishes. Attaches with adhesive. 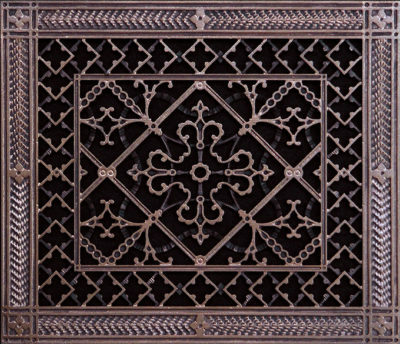 Lattice Center Ornament 5" x 12" x 5/8" . Comes in 15 finishes. Attaches with adhesive. Rosette 3" Acanthus. Comes in 15 finishes. Attaches with adhesive. 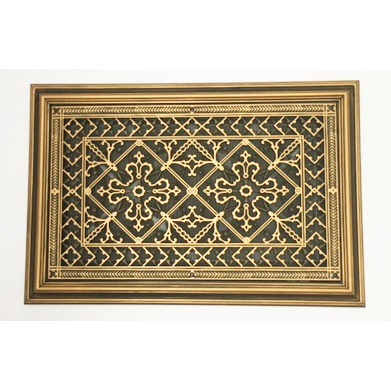 Vertical Drop Ornament 5-3/4" x 12-1/2" . Comes in 15 finishes. Attaches with adhesive. 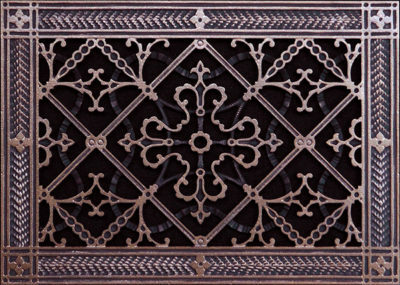 Palque Relief Center Ornament 6-3/4" x 17-1/4" x 1/2"R. Comes in 15 finishes. Attaches with adhesive. 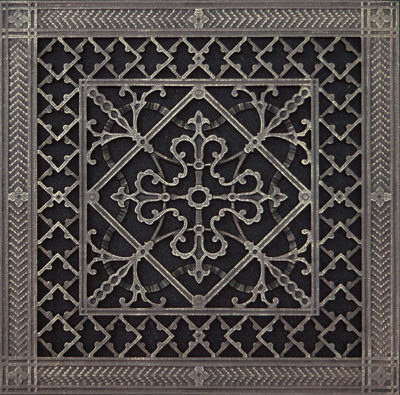 Shield Center Ornament 6" x 6" x 5/8"R. Comes in 15 finishes. Attaches with adhesive. 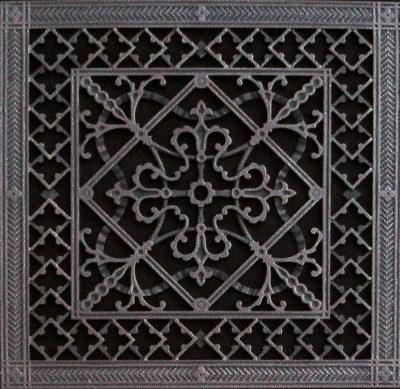 Fireplace Undermantle Center Ornamentation 15" x 48-1/2" x 1/2". Comes in 15 finishes. Attaches with adhesive. 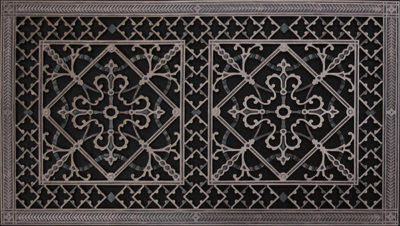 Griffin center is 6-1/4" x 44-1/2" x 3/4"R. Comes in 15 finishes. Attaches with adhesive. Empire Fireze is $75 a linear foot. 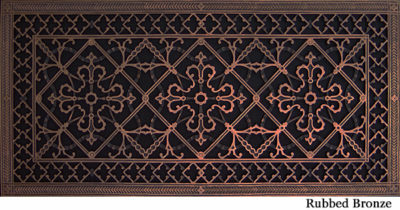 12" x 8-1/2" x 3/4"R. Comes in 15 finishes. Attaches with adhesive. Availability: This item is made to order. Please allow 1-2 weeks. Covers Duct Size: 4" x 16" Frame Size: 6" x 18" Thickness: 3/8"Frame Width: 1-5/16"
Availability: This item is made to order. Please allow 1-2 weeks. Covers Duct Size: 4" x 24" Frame Size: 6" x 26" Thickness: 3/8"Frame Width: 1-5/16"
Availability: This item is made to order. Please allow 1-2 weeks. 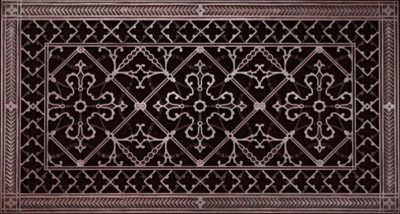 Covers Duct Size: 4" x 30" Frame Size: 6" x 32" Thickness: 3/8"Frame Width: 1-5/16"
Availability: This item is made to order. Please allow 1-2 weeks. Covers Duct Size: 6" x 14" Frame Size: 8" x 16" Thickness: 3/8"Frame Width: 1-5/16"
Availability: This item is made to order. Please allow 1-2 weeks. Covers Duct Size: 6" x 16" Frame Size: 8" x 18" Thickness: 3/8"Frame Width: 1-5/16"
Availability: This item is made to order. Please allow 1-2 weeks. Covers Duct Size: 8" x 20" Frame Size: 10" x 22" Thickness: 3/8"Frame Width: 1-5/16"
Availability: This item is made to order. Please allow 1-2 weeks. Covers Duct Size: 16" x 36" Frame Size: 18" x 38" Thickness: 3/8"Frame Width: 1-5/16"
Availability: This item is made to order. Please allow 2 weeks. Made for a Filter: 12" x 16" Frame Size: 18-1/4" x 22-1/4"
Availability: This item is made to order. Please allow 3 weeks. Made to fit: 12" x 24" filter Frame Size: 18-1/4" x 30-1/4"
Availability: This item is made to order. Please allow 2 weeks. Made to Fit: 12" x 30" filter Frame Size: 18-1/4" x 36-1/4"
Availability: This item is made to order. Please allow 1-2 weeks. Covers Duct Size: 12" x 24" Frame Size: 14" x 26" Thickness: 3/8"Frame Width: 1-5/16"
Availability: This item is made to order. Please allow 1-2 weeks. Covers Duct Size: 12" x 30" Frame Size: 14" x 32" Thickness: 3/8"Frame Width: 1-5/16"
Availability: This item is made to order. Please allow 2-3 weeks. Made to fit Filter: 12" x 36" Frame Size: 18-1/4" x 42-1/4"
Availability: This item is made to order. Please allow 1-2 weeks. Covers Duct Size: 12" x 36" Frame Size: 14" x 38" Thickness: 3/8"Frame Width: 1-5/16"
Availability: This item is made to order. Please allow 1-2 weeks. Covers Duct Size: 14" x 30" Frame Size: 16" x 32" Thickness: 3/8"Frame Width: 1-5/16"
Availability: This item is made to order. Please allow 2-3 weeks. Made to Fit a : 16x16 filter. Frame Size: 22-1/4" x 22-1/4"
Availability: This item is made to order. Please allow 1-2 weeks. Covers Duct Size: 16" x 20" Frame Size: 18" x 22" Thickness: 3/8" Frame Width: 1-5/16"
Availability: This item is made to order. Please allow 3 weeks. 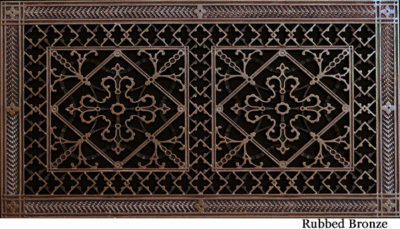 Covers Duct Size: 16" x 24" Total Size with Moulding: 22-1/4" x 30-1/4"x 1-1/2"
Availability: This item is made to order. Please allow 1-2 weeks. Covers Duct Size: 16" x 24" Frame Size: 18" x 26" Thickness: 3/8"Frame Width: 1-5/16"
Availability: This item is made to order. Please allow 1-2 weeks. Covers Duct Size: 16" x 30" Frame Size: 18" x 32" Thickness: 3/8"Frame Width: 1-5/16"
Availability: This item is made to order. Please allow 2 weeks. Made to fit a: 16" x 30" filter Frame Size: 22-1/4" x 36-1/4"
Availability: This item is made to order. Please allow 2-3 weeks. Made to fit: 18" x 18" Filter Frame Size: 23-3/4" x 23-3/4"
Availability: This item is made to order. Please allow 1-2 weeks. Covers Duct Size: 18" x 18" Frame Size: 20" x 20" Thickness: 3/8"Frame Width: 1-5/16"
Availability: This item is made to order. Please allow 1-2 weeks. Covers Duct Size: 20" x 20" Frame Size: 22" x 22" Thickness: 3/8"Frame Width: 1-5/16"
Availability: This item is made to order. Please allow 2 weeks. Made to fit a Filter: 20" x 24" Frame Size: 26-1/4" x 30-1/4"
Availability: This item is made to order. Please allow 1-2 weeks. 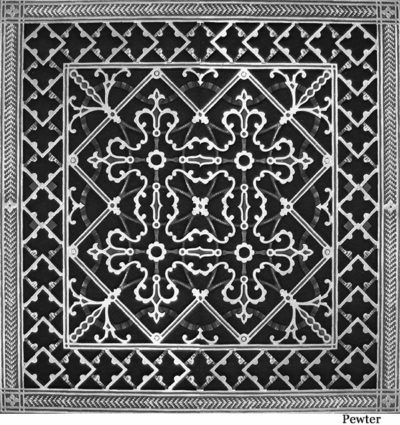 Covers Duct Size: 20" x 24" Frame Size: 22" x 26" Thickness: 3/8"Frame Width: 1-5/16"